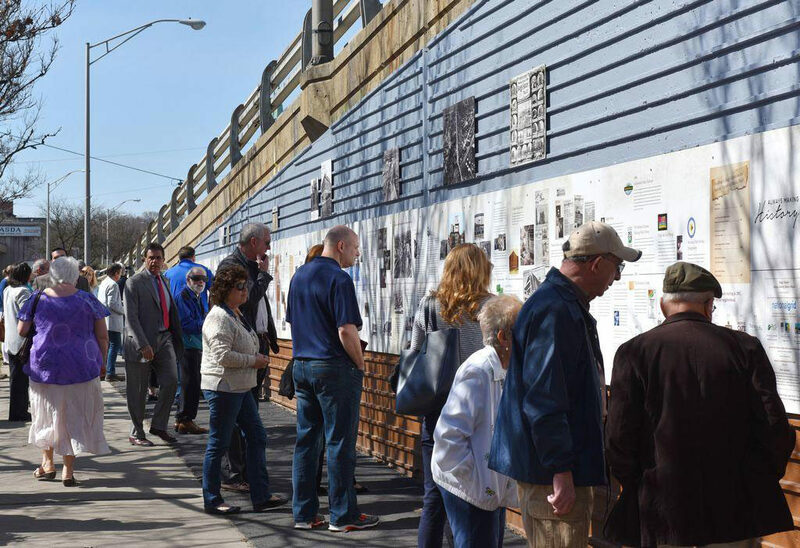 The Bagg’s Square mural is a 76-foot historical timeline of Utica’s past. In Utica, New York, a $250,000 grant was awarded from National Grid to the Bagg’s Square Association, which enabled the association to develop a large Dibond paneled mural, designed by Michelle Truett. The installation features 110 historical elements including people, places and events that made the city what is today. The hope of the association is that the mural will encourage the city’s young people to take an active interest in the community and develop a sense of pride. The Dibond mural was completed by Image Press of Cicero who specified Dibond for its ability to be used in exterior applications due to its hyper durability. Additionally, the material’s printability and longevity will allow the mural to withstand external elements and retain vibrancy over time. The designer, Michelle Truett, spent over three months researching the city and worked closely with historian Joseph Bottini and his wife, Mary Bottini on the project. 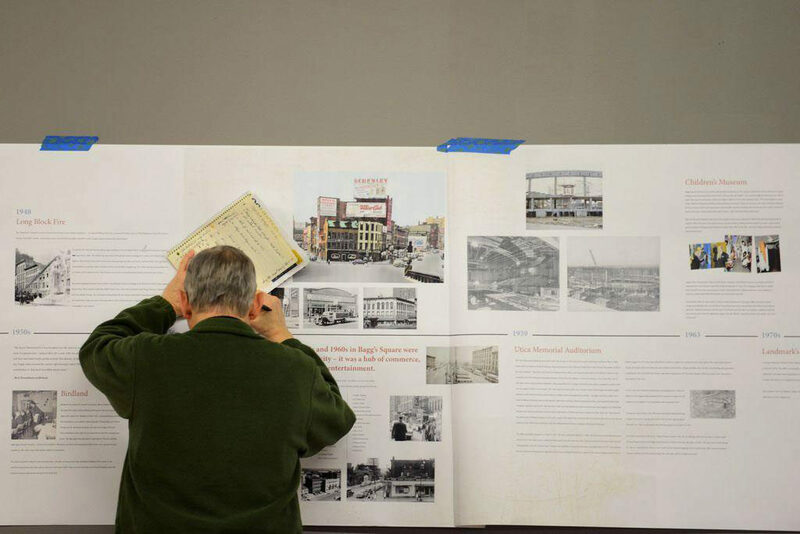 Together, they gathered a series of photographs and historical information to compile the timeline, which covers over two centuries of the city’s character. Additionally, the project aims to revitalize the Bagg’s Square area as it has recently become underused. Bringing buzz to the area may help the area see a rise in investment into the city, which is filled with a rich history that is now accessible for all to experience.